Officials from Weba said the run-of-mine material at the operation had lump sizes of up to 1,200mm fed to a grizzly feeder from an apron feeder, with oversize material going to a jaw crusher. A primary issue, however, was the lump kimberlite, which along with the uncontrolled material resulted in a stress to the transfer system. 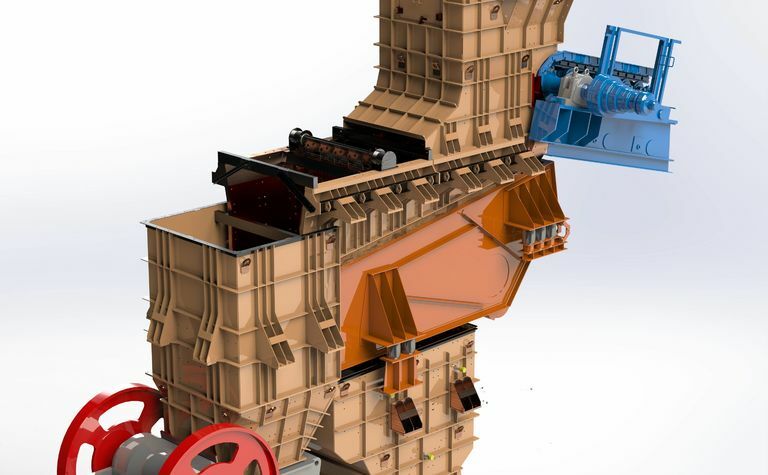 "Another challenge in this primary circuit is that the conveyor receives material from the grizzly underpan and jaw crusher discharge, and lack of material control had resulted in high impact onto the conveyor belt. This damaged the conveyor and caused considerable spillage, resulting in unplanned downtime as the conveyor belt had to be replaced just about every quarter," the supplier said. The situation ultimately was costing the operation money, as added expenditure and lost productivity meant increased plant costs. 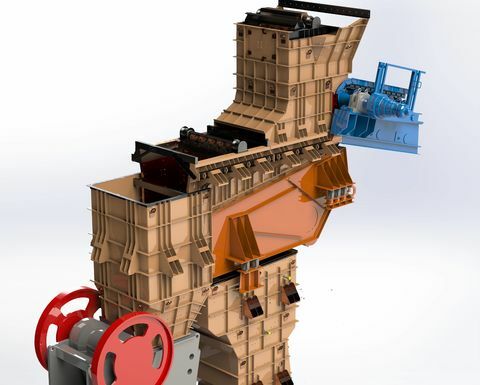 With the mine and Weba Chute Systems working in tandem, they were able to engineer a solution for material handling that addressed the entire transfer system. 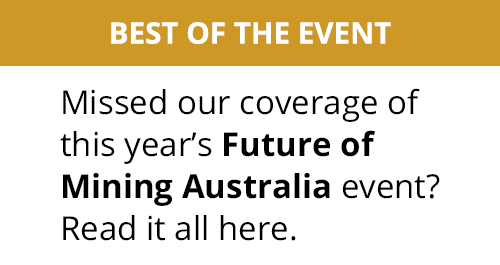 "Dealing with challenging applications - and in particular uncontrolled material flow - is something we are known for," Weba Chute Systems technical manager Dewald Tintinger said, who noted that standard transfer solutions do not generally consider sizes and velocities. "We are often called in to assist plants where a standard one-size-fits-all solution has proved inadequate to their specific material-handling needs." Tintinger pointed out, too, that many designs do not look at the general arrangement of transfer points or the tie between equipment that feeds and then subsequently receives the material. A custom solution, like the one created for the Botswana operation, puts focus on specific, individual materials-handling applications. Unfortunately, while these custom systems offer significant advantages for a plant, these benefits often are only apparent after the basic chute system fails. For the diamond mining customer, that customised solution included a mechanism to overcome the challenges of the 1,200mm lump sizes. "An integral swing mechanism - engineered to guide these large lump sizes through the transfer point at a controlled velocity - reduces the impact on downstream equipment," he said. "The next chute in the process flow therefore no longer has to deal with excessive impact, as this has been addressed through the swing mechanism in the first chute. The material then flows through the grizzly discharge chute and reports to the crusher." 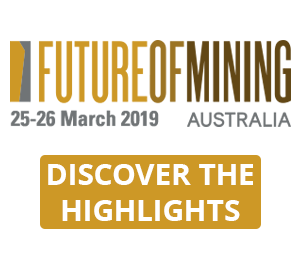 Fast-forward to today, and Weba officials confirmed that there is a significant reduction in the high impact and excessive wear the mine had experienced because of the pair's decision to combine an engineered transfer point with the swing mechanism in that position. The longevity of the chute is now vastly improved and, since its installation more than a year ago, has not needed to be replaced. 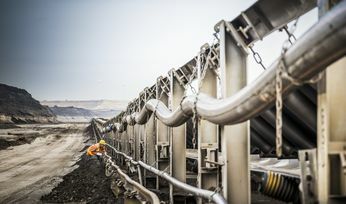 The mine's grizzly underpan chute system, for lump sizes of -250mm, was designed to accommodate the material, though with a drop height of about seven metres from the grizzly feeder to the conveyor along with the lump size, Weba noted that it could become a challenging transfer point. "Applying an engineered transfer point solution here was critical to the success of this material-handling operation," Tintinger said. "The chute design accommodates the material flow in such a manner that it is absolutely controlled and excessive damage is no longer caused to the receiving conveyor." The last of the four engineered transfer solutions was the crusher discharge chute. He added that while the same engineering principle was applied here as with the third chute, there is not as much of a drop. 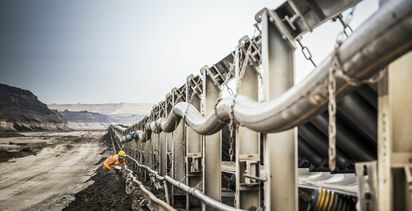 "The combination of these two chutes has significantly reduced material impact onto the conveyor and has substantially increased belt life," Tintinger said.